Oxycodone addiction withdrawal symptoms are not deadly, but they may be severe. There are standard symptoms that almost everyone gets, and there are symptoms that you might not know existed. To avoid these and all symptoms of withdrawal, find a treatment center to help you. Call 800-429-5210, we can help. Delusions are a break with reality. You believe things that are not true. Crying is a very common symptom that has two causes: overwhelming emotions and watery eyes. According to the National Library of Medicine, restless leg syndrome is an unpleasant tingling or pulling sensation in the legs; nearly 10 percent of the population has it. Although doctors are not entirely certain of every cause, medication and medication withdrawal are considered among them. Although hot flashes are a very common symptom for many types of withdrawal, opiate withdrawal has cold flashes. You go from hot to cold very fast, causing you to shiver. 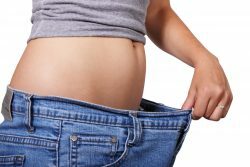 Oxycodone withdrawal can cause weight loss. Nausea and vomiting contribute to this symptom, but general lack of appetite is also contributing factor. Some people recovering from opiate addiction find that they cannot put weight on at all. Being obsessed with opiates, opiate addiction, and the addiction of others to opiates is not uncommon in a person in recovery. You can become obsessed with everything about opiates and opiate recovery. Yawning during opiate withdrawal when you are not tired is a symptom of vitamin deficiency. Opiates deplete vital nutrients and yawning is just your body noticing this depletion. Sweating, even when you are cold, is a symptom of temperature fluctuations in the body. Since opiates cause chaos with your autonomic nervous system, none of the body’s regulatory functions are normal. Many of these fluctuations result in sweating or chills. Each of these levels helps coincides with a degree of addiction. Sudden muscle twitches differ from tremors. These twitches are a sudden jerking of a limb or other muscle. Severe twitches can lead to harsh muscle cramping and pain. Hypnic jerks are marked by a feeling of electric shocks going through a part of your body. This symptom only happens when you are sleeping, and it will wake you. These jerks are similar to the “brain zaps” that some people feel when using other medications. Disorganized thinking is only common in those with a severe addiction. Due to the sudden lack of opiates in the body, it is possible for the brain to over produce other chemicals and cause thinking to become confused. Paranoid behavior is usually the result of the anxiety that takes place during opiate withdrawal. Extreme paranoia is linked to delusional thinking. Impaired communications are often the product of confusion during withdrawal, but they may also be a symptom all on their own. Withdrawal causes problems with both speaking and writing. Although most sneezing has another cause, someone in oxycodone withdrawal will sneeze excessively. A running nose often accompanies this symptom. The best way to avoid these and all of the other symptoms of opiate addiction withdrawal is to find a treatment center. You can do this by calling 800-429-5210. We can help.